Long-term resident or new to the area, Austell, GA, is a great place to live. If your growing your business or family is starting to take up take up a bit too much space, we're here to help. Thanks to ground-level storage units and large, interior loading bays, you’ll always enjoy convenient, hassle-free access to your items—any day of the year. Store your valuables during a move in first-floor climate-controlled 10X10 or 10X20 storage units. Budget-friendly 5X5 units are ideal for a quick decluttering project or clearing out the garage. Booming businesses will love the extra warehouse space our large commercial storage units provide. 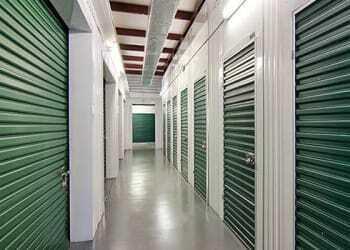 Large storage units are ideal for home stagers, contractors, medical and law offices, and more. With online payment options and month-to-month leases, you can count on Metro Self Storage for a convenient storage solution. Reserve online now and lock in a great deal or visit us for a consultation with one of our friendly storage experts. 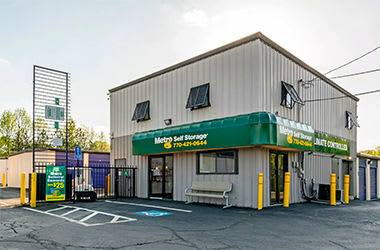 Businesses of all sizes can benefit from renting a commercial storage unit at Metro Self Storage near Atlanta’s East-West Connector in Austell, GA. During periods of growth, downsizing, or when relocating, having a flexible space without an expensive commercial lease can help businesses along the path of success. If your company needs additional space for business records storage, a commercial storage unit with climate control will keep these documents in pristine condition. Our new storage units offer the area's widest selection of sizes. Add in package acceptance and extended secure access hours, and you won’t have to worry about missing an important delivery again. Would you like to learn more about your business storage options in Austell? Call us today. Our friendly Property Manager is here to help you select a unit and answer all of your questions. Whether you're looking to downsize your lifestyle, in between homes, or going through a tricky life transition, you count on the experienced team at Metro Self Storage. 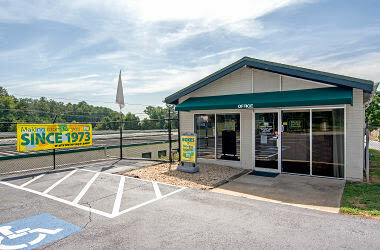 Our single-story Austell storage facility is designed with your busy lifestyle in mind. Ground-level access means you can be in and out without stairs or elevators. Moreover, our state-of-the-art facility includes industry-leading security features in addition to ample protected loading areas. Need to pick up a few extra moving boxes? No worries. We've got a wide selection of all the packing supplies you’ll need to keep your valuables safe and secure. Our professionally trained storage team is always happy to see you too! Stop today and tour our beautiful new Austell storage facility.